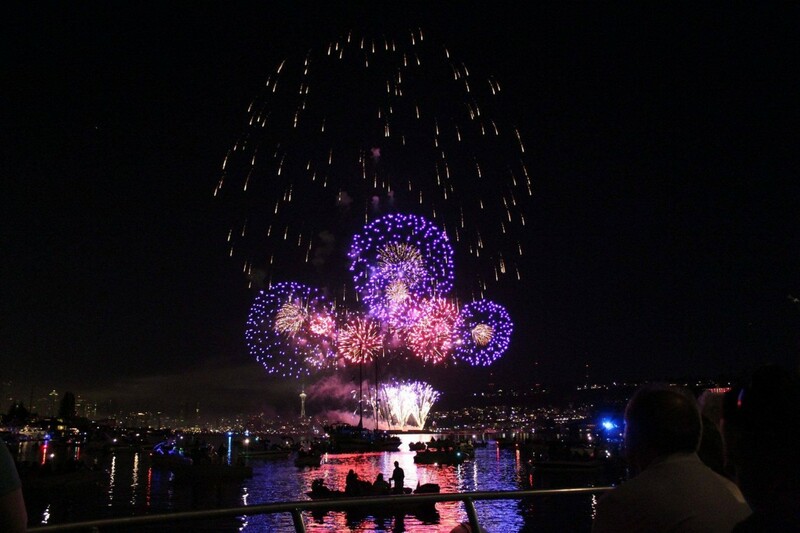 In addition to the 4th of July fireworks tours, we are operating our regular daily sightseeing tours in Tacoma at Noon and from Gig Harbor at 3:30PM on the 4th! For information and prices for these, see the “About Us” page. Sail from Gig Harbor or Tacoma, because of the sell-out popularity of these trips, reservations and advance payment is required for all fireworks tours. Call for details. Price is $50.00 each for all persons. This trip recommended for ages 5 and up. This trip is for sale as a private charter for $3,400 including tax and service charge. See more Tacoma 4th of July Air Show and Fireworks images on our Facebook Page! Our boat now has a new canvas top to duck out of the wind and rain! 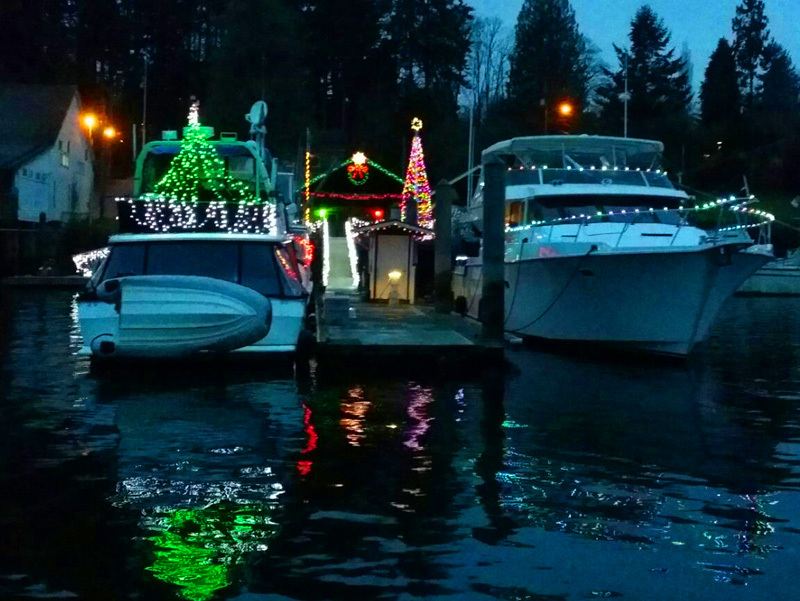 “Gig Harbor the Maritime City” Holiday Lights Cruises! Boat Tours along the historic Gig Harbor waterfront enjoying the crisp air and the spectacular lighted homes and yachts!